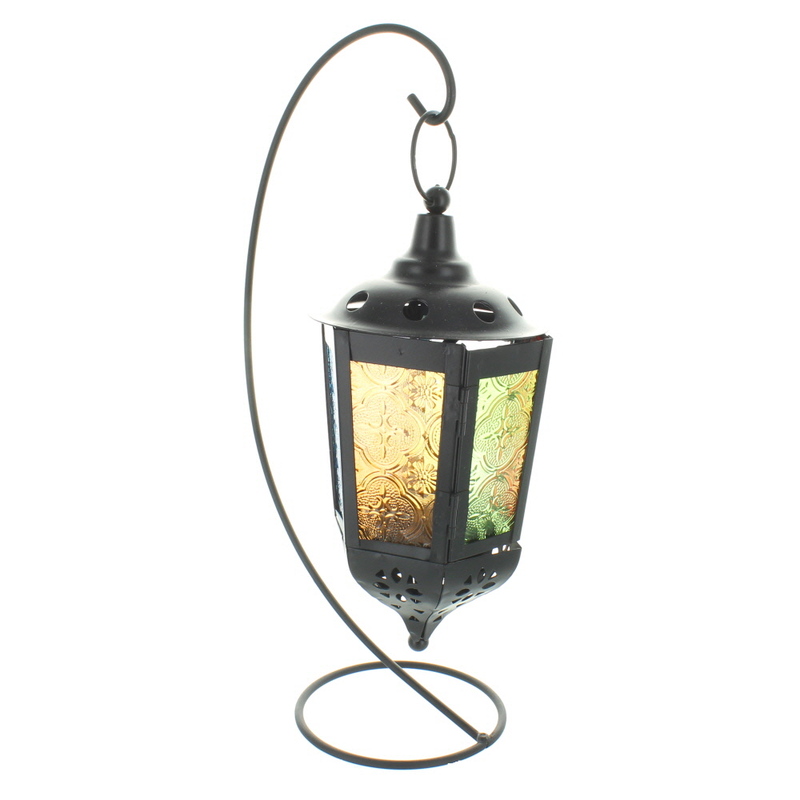 Hexagonal black lantern (height 15cm, diameter 10.5cm). 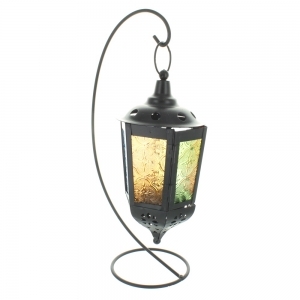 This stylish lantern is perfect for use with a tea light. It has attractive patterned glass panels in six different colours and opens at the side for easy access to the tea light. It hangs on a black stand (height when hanging 32cm).